It wasn’t common for women to paint in the early 17th century, but Artemisia Gentileschi, born in 1593 in Rome to the noted artist Orazio Gentileschi, had a gift and a passion. Her father taught her the basics of the trade, then hired her a tutor. Yet this rare encouragement turned dark when the tutor raped the teenager. In an act of exceptional courage, Gentileschi took the man to court and, though forced to undergo a torturous and humiliating physical examination, she won. After the trial, Gentileschi would become a celebrated artist known for painting female subjects ranging from biblical heroine Yael to Cleopatra. She attended the court of the Medicis and was a friend of Galileo Galilei. But for most of the next 400 years, Gentileschi was all but forgotten, her works scattered and neglected. Her story, sadly, was far from unique. In her time, the odds against women who aspired to artistic success were enormous. Because they were not allowed to be independent, they needed their fathers to support their work. They had to be considered virtuous and held in high regard. Women couldn’t go to school, so they had to be tutored. And they were not allowed to paint live models or study anatomy, so their subjects tended to be food, or flowers, or portraiture—and were taken less seriously as a result. In the 1970s, Gentileschi’s achievements made her a feminist icon, taught by feminist art historians and cited by modern female artists. Yet she is hardly a well-known name even within the art world. After centuries of neglect, that’s finally beginning to change. Gentileschi is the best-known artist in an ambitious new project to discover overlooked women artists active primarily from the 15th to the 19th centuries. A joint effort between researchers at Indiana University Bloomington and a foundation based in Florence, Italy, called Advancing Women Artists (AWA) has uncovered 643 female artists who were known in their day but have since been forgotten. The researchers have rediscovered 2,000 pieces and restored more than 60 of them. An illustrated database of the works, a kind of virtual museum called A Space of Their Own (yes, it’s a nod to Virginia Woolf), is scheduled to launch this spring. People have long asked, ‘Where are the women artists?’ We’re posing a different question: Why were they forgotten? The project is bringing powerful and evocative works back into the public consciousness. Despite the constraints under which they worked, these artists show a singular attention to detail and psychological sensitivity. And beyond their aesthetic power, the pieces offer insight into the social norms of the times in which they were created. This database, and the renewed interest in women artists that it reflects, will likely change the way we understand human history. Of course, there’s also a financial element to the phenomenon. As interest in women artists grows, so does the market for their work. Last fall a piece by Gentileschi sold for $2 million, more than double its high estimate, at Dorotheum. 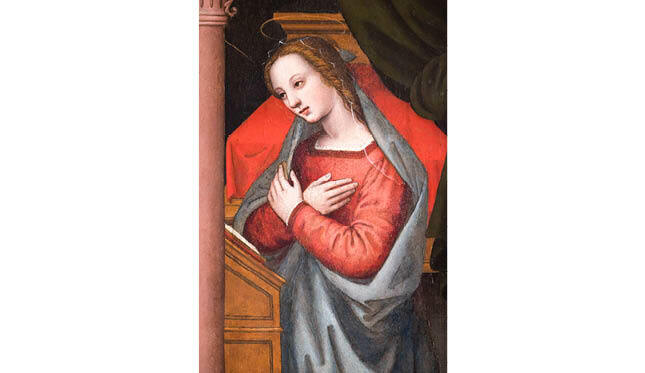 In 2018, Sotheby’s presented only 14 works by female Old Masters, compared to 1,100 works by male Old Masters. 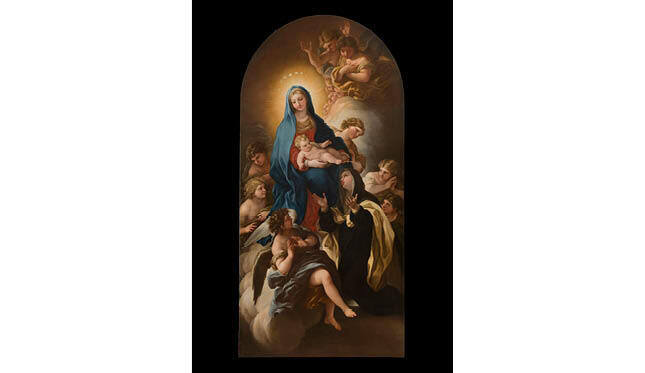 But in January, the auction house held a sale of 21 works by 14 female artists spanning the 16th to 19th centuries. Its title? The Female Triumphant. Indeed, a 1788 piece by Elisabeth-Louise Vigée Le Brun set a record for any female artist in the pre-modern era, selling for $7.2 million. 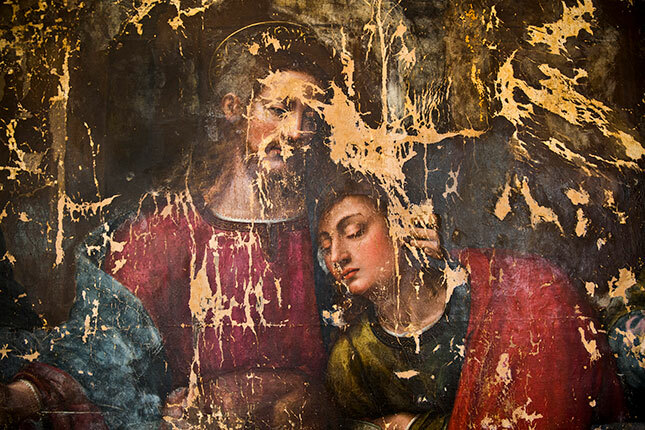 The paintings below show the restoration efforts involved in A Space of Their Own. Organizers hope they will help to ensure that the centuries-long exclusion of women’s creativity finally comes to an end, while inspiring new generations of artists. “All of us, but girls especially, have a right to see these examples,” says Falcone. 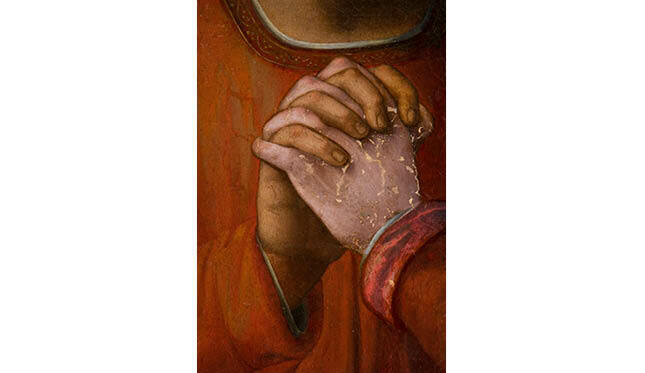 Nelli, born in 1524, is the first known female artist of Florence. 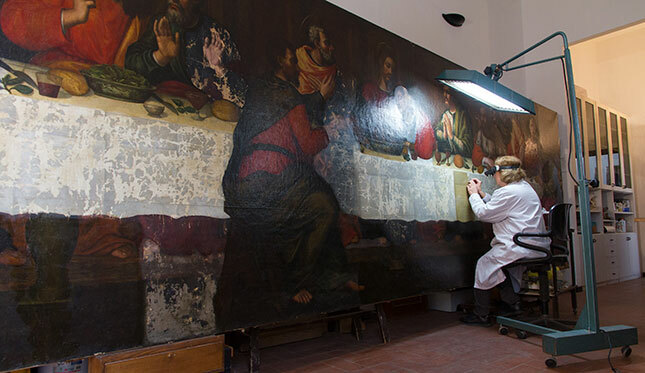 Painting the last supper was seen as the ultimate sign of mastery for painters of the period. A work early in the restoration process. A detail of Nelli’s Last Supper. 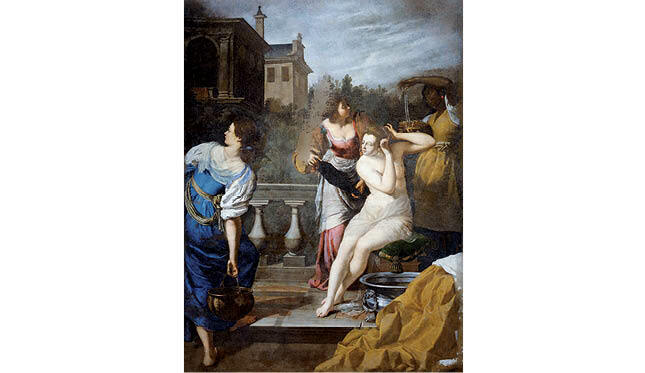 AWA restored Artemesia Gentileschi’s David and Bathsheba in 2008 after it had spent 363 years in storage. Damaged over time, the image of David is nearly invisible but was found during the last days of the restoration, just above the cloth hanging on the balcony balustrade. Violante Siries Cerroti’s Santa Maria Maddalena dei Pazzi was restored in 2016. An artist for the Medicis, Cerroti was the first woman granted permission to copy works at the Uffizi Gallery in 1770. AWA’s restoration efforts include pieces from the 20th century. Work by Antonietta Raphael Mafai, an Italian Jew, was banned in the 1930s by Mussolini. 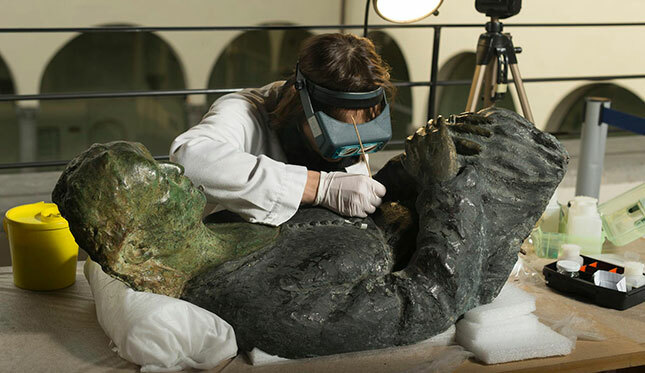 Above: her statue, Mrs. della Ragione, being restored. Nelli’s Palazzo Vecchio Annunciation, restored.